The original Scallywag Speyside blended malt was launched in 2013 and is now part of the Remarkable Malts gang (with Big Peat, Timorous Beastie and Rock Oyster). 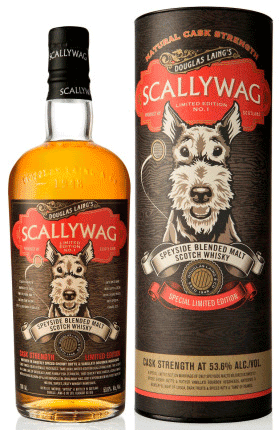 The gently yet mischievous fox terrier now has a cask strength, super brother. The stunning packaging features a few extra details. The startled dog has his ears pricked and his monocle blasted off. Will Scallywag blow off my socks too? Colour: Scallywag's big brother has a dark golden colour leaning towards amber. Swirling leaves thin and fast legs on the glass. Nose: Take it easy when nosing. Swirl it too much or inhale too deeply and Scallywag bites you in the nose! Coffee, balsamico and cherries. Oranges and gingerbread. Oldschool shaving soap and a leather razor strop. With some time I'm getting some sweet chestnuts. Water calms the playful dog down. Aromatic tobacco, gingerbread, pistachios, juicy oranges and marshmallows. Taste: Cherry wood and chocolate dominate the palate with the fruitiness of the oranges. A dash of water brings back the gingerbread with dried fruits and baking spices. Pickled cherries, butter cake and milk chocolate. Finish: A warm and medium finish. The tobacco jumps up one last time. Chocolate flakes. It's a dog to approach with caution. The whisky really profits from a small dash of water. 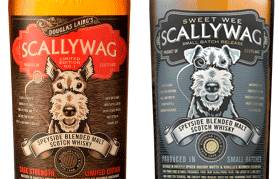 Scallywag delivers what it promised: a playful rich, spicy and fruity Speyside character with a bite. Cask Strength versions are always a little bit more fun than the regular version. 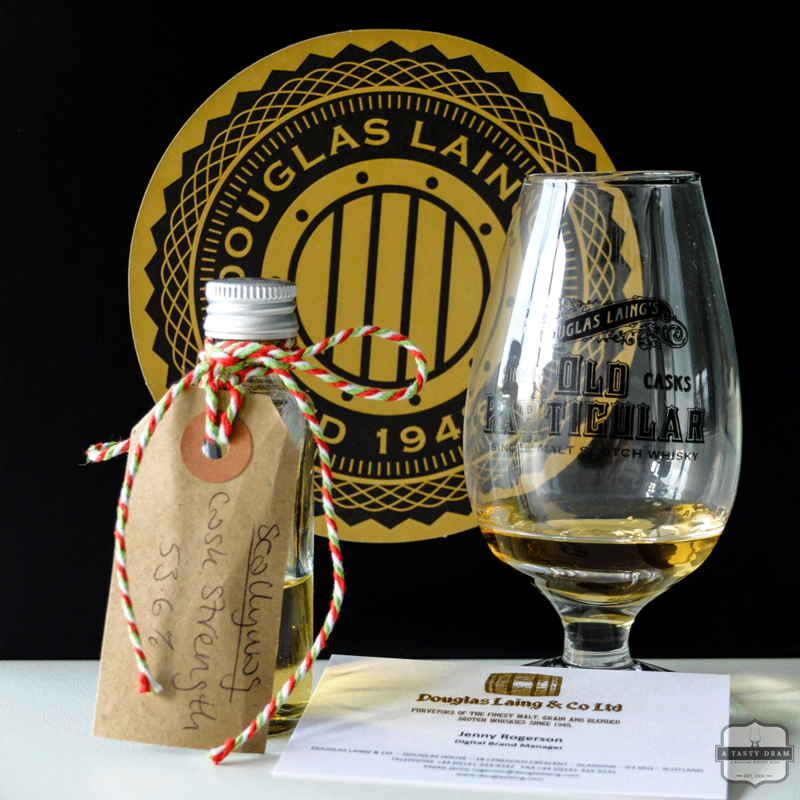 You never really get the very same whisky when diluted (unless you are particularly meticulous when pouring a dram and diluting with a pipette). It's a constant surprise variation on the same theme. 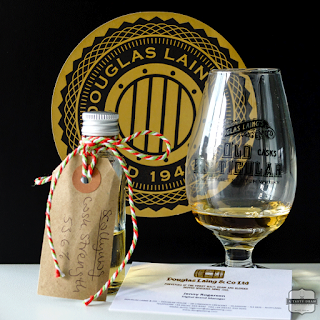 A sample was provided by the kind folks of Douglas Laing. Thanks, Jenny!